Discover a huge range of bathroom accessories, with everything from soap dishes, toothbrush holders, and robe hooks, to laundry baskets, and storage solutions. 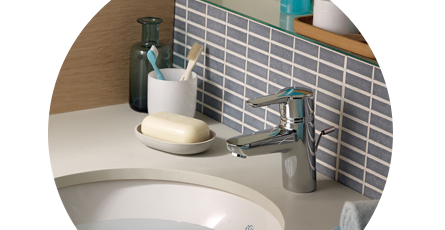 Bath and basin accessories provide a great way to really pull your theme together. Small details such as adding colour coded toothbrush holders or bath mats can make a big difference and shouldn't be underestimated. It?s so often those little touches and details that really make a room, and our wide array of bath & basin accessories is perfect for finishing off your bathroom. Our stylish, practical items will improve your daily routine, making those early morning starts a more enjoyable experience.